I bought the most beautiful bunch of rainbow Swiss chard from the farmer's market this weekend and a handful of assorted colored bell peppers. I decided to make a Swiss chard and lentil red curry soup. It turned out horrible. Wayyyy too many lentils, the color was ugly, and the flavor wasn’t what I was missing a lot. I promise this story has a good ending. I was upset. I had ruined the beautiful rainbow chard. This is where I tell you I still benefited from this disaster. As aspiring cooks/chefs/wives/mothers/etc we hate to fail. But failure is what makes us better. Without failure and what we gain from it, we would never reach our full potential, with anything in life, not just rainbow Swiss chard. Use failure to turn around and do something amazing. 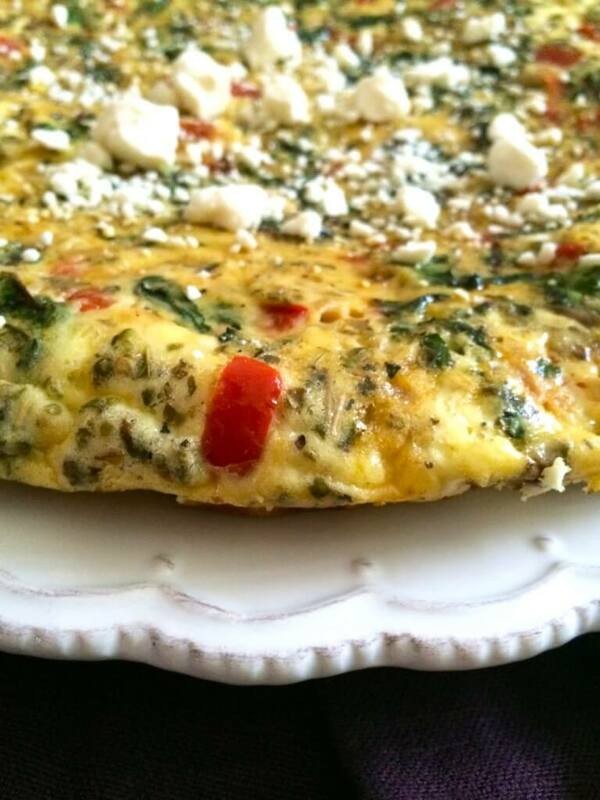 So several nights later, I purchased Swiss chard from the grocery store and made this frittata. Far less farm-to-table, but it was PERFECT, a complete success and absolutely beautiful. From someone who has failed many times in life (and has also had many incredible achievements), I have learned you really have embrace when you fail and always celebrate when you succeed! So make this frittata, pour a glass of wine, and be happy. Kitchen Tip: Rinse cast iron skillet with hot water immediately after cooking. If necessary remove burned-on food with a mild abrasive brush or sponge. Do not use soap. To prevent rusting, always coat the cooking surface of your cast iron skillet with cooking oil after cleaning prior to storing. Preheat oven to 400 degrees. Remove the stems from the leaves of the chard. Roll the leaves up and roughly chop. Chop/dice all vegetables and set aside. Heat a cast iron skillet over medium heat. Add the olive oil. Once warm, add the onions and garlic, cook until translucent and fragrant. Add the bell pepper and tomatoes. Cook for about 3-4 minutes. Add the chard and cook until wilted. Season with salt and pepper. Meanwhile whisk the eggs and milk in a separate bowl until smooth. Add cheeses to the eggs and season with garlic powder, Italian seasoning, salt and pepper. Remove cooked vegetables from the cast iron skillet and set aside. Pour egg mixture into the skillet and immediately stir in vegetables. Let set and cook until the edges set, about 6-8 minutes. Place the cast iron skillet in the oven and bake until completely set through, about 5-6 minutes. Remove from the oven and use a spatula to loosen the edges. Place a dish over the pan, and flip onto the plate. Cut into wedges, sprinkle with extra cheese, and serve.